Matching up with the ever increasing requirements of the customers, our company is involved in offering Flow Wrapping Machine. 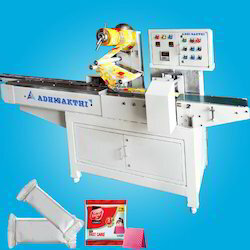 We are engaged in offering Biscuit Packing Machine to our clients. Our range of Biscuit Packing Machines is horizontal machine, this is very suitable machine to pack any type solid items, It is conveyor holded machine so we can put packing items easily. 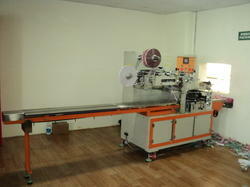 This Biscuit Packing Machine is variable speed machine.